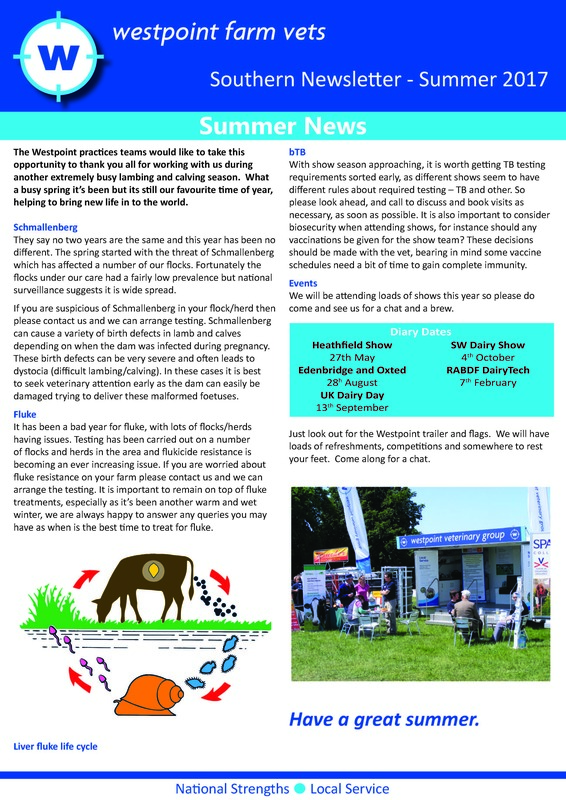 Westpoint Heathfield is a modern, dedicated livestock veterinary practice providing a comprehensive range of health-orientated services to farms in and around the Heathfield area. After 1pm - office phone calls will be answered by our Ashford practice. Outside office hours, the on-call vet will receive all emergency phone calls to provide 24hr emergency care. For medication pick ups and other visits, outside office opening hours, please contact our veterinary staff. 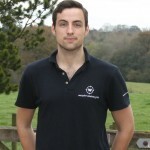 Alex has been affiliated with Westpoint Veterinary Group since 2004, and joined the practice in 2006 as soon as he qualified from the University of Bristol. Originally based in the Horsham headquarters, he fuelled his interests in production animal medicine, and developed his knowledge of current farming economics before joining the Ashford practice in 2007. Infectious disease control including BVD, Leptospirosis, IBR and Johne's are areas in which he is most interested, especially with respect to herd accreditation schemes. He is very passionate about using cost -effective screening, eradication and control programs to maximise productivity and herd health status. He also enjoys working together with farmers to maximise herd fertility and minimise the hidden costs of poor herd reproductive management in both dairy and beef industries. Alex is BCVA approved in performing Bull Breeding Soundness Examinations, a cost effective service that has quickly become highly demanded across the South of England. 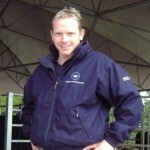 In January 2009, Alex undertook the Postgraduate Certificate in advanced veterinary practice designated specifically in Cattle Health and Production (CHP) - this helps him keep abreast of developments in a volatile and ever changing industry. In 2010 Alex was awarded The British Institute of Agricultural Consultants (BIAC) Young Consultant of the Year and most recently in August 2014 won the WBC Innovation and Research Award for Young Scientists at World Buiatrics Congress in Cairns. 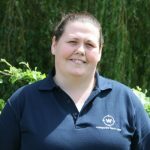 Originally from Ireland, Kathy graduated from the Nottingham Vet School in 2011 and joined Westpoint straight after in July 2011 to undertake an internship in farm animal practice with the RVC. She was initially based at our Horsham practice, but moved across to our Ashford practice in spring 2012. 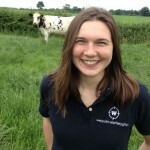 Kathy enjoys all aspects of farm animal practice, from working with the commercial farms to the smallholder clients. She has a particular interest in proactive health planning and specifically in mastitis control. Kathy is a DairyCo Mastitis Control Plan User and she uses this knowledge when working with our dairy farmers to monitor mastitis, recommend and implement changes to control mastitis on their farms. Outside of work Kathy particularly enjoys being in the great outdoors and the pursuit of outdoor activities. These include photography and walking around the Kent countryside. Jack graduated from the University of Liverpool in 2014 and joined Westpoint as a veterinary intern. He is interested in all aspects of farm animal practice but is particularly interested in fertility work and infectious diseases. When not at work, Jack can be found running in the Kent countryside, at a local point to point, playing hockey or creating his next batch of homebrew!